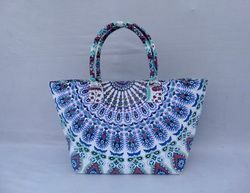 Our range of products include mandala summer tote bag, mandala shopper bag, mandala handmade tote bag, mandala bag and handmade cotton mandala bag. Do check our FAQ section for more information on the products prior ordering. 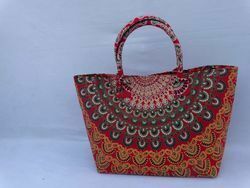 we ship the item world wide through FED-EX,BOMBINO,UPS,INDIA POST. 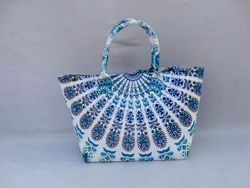 We accept payment in Paypal account only. International Buyers are responsible for their countries duties and taxes . 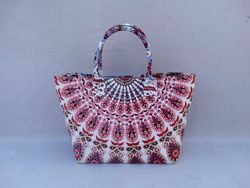 Handmade cotton mandala bag are exclusively designed and made with very fine detailing.